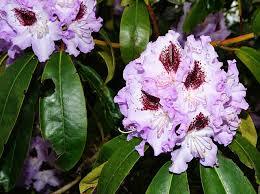 Rhododendrons are a genus of woody plants that can be either deciduous or evergreen. 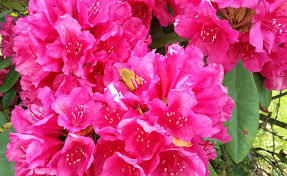 Azaleas are a species of rhododendrons. Rhododendrons tend to have brightly colored flowers that looking amazing when in bloom. If you are planning to make your lawn or yard look amazing, these plants can be a good addition. Here are a few tips to help you grow rhododendrons and take care of them. It is important to select the planting site with care. The type of rhododendrons will determine the site as some of them can tolerate the direct glare of the sun. However, most of them require shade for the best growth. Tall trees are perfect but avoid planting near surface rooted trees. The drainage of the soil is crucial as well. You can prepare the planting bed normally. Be that as it may, ensure that the soil has enough organic material so that the plant has enough nutrients for growing. Addition of mulch and compost is beneficial. You should avoid organic matter that can compact and prevent the plants from absorbing water. While planting, make sure that the plant stem does not get buried in the process. Rhododendrons and azaleas can grow beautifully when transplanted. Under ideal climates, transplantation can carried out anytime except for the hottest season. Early spring is ideal for cold climates while late summer to late autumn is perfect for warm seasons. 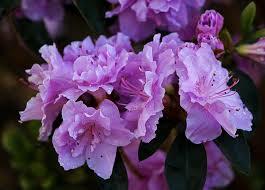 If you are transplanting the deciduous type of rhododendrons, you should do it when they are in their dormant state. 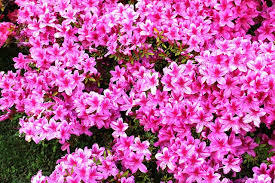 It is critical that newly planted rhododendrons and azaleas are watered properly. You must avoid overwatering the plants. Check the drainage of the soil to ensure that water does not accumulate as that can harm the growth. Water the plants regularly especially during the hot season. Mulching the plants with organic matter can provide the soil with nutrients and keep it moist. The temperature can be maintained during the different season. However, adding too much of mulch can actually be harmful for the plant. Therefore, new add mulch only when the existing mulch has decomposed completely. The autumn is a good season for mulching. Pruning can be beneficial for the growth of rhododendrons and azaleas. These plants can have a fuller shape and more blooms with the help of pruning. It can stimulate the development of the roots and encourage the growth of branches and blooms. These plants can be pruned after they have bloomed. It can also be done during the dormant phase of the plants in late winter. Once they have been established, these plants require very little pruning. Deadheading rhododendrons can be extremely beneficial when they are younger. In deadheading, the wilted and dead flowers are cut off. This allows the plant to spend its energy on vegetative growth instead of producing seeds. Rhododendrons and azaleas with their brightly colored flowers can make an excellent addition to most yards. By planting azaleas and rhododendrons properly and taking care of them, you can make your neighbors envious every time the flowering season comes along.